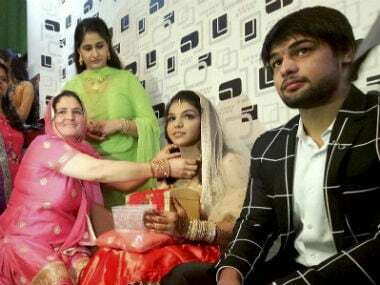 New Delhi:Rio Olympic medallist Sakshi Malik on Sunday got engaged to wrestler boyfriend Satyawart Kadian at her residence in Rohtak. The 24-year-old wrestler had earlier spoken about Satyawart in the media. "It was a private function. Only the families of the to-be bride and groom attended the event and it went very well," Satyawart's father Arjuna Awardee Satyavan Pehelwan said. Satyawart, 22, is two years younger to Sakshi and trains at his father's akhada in Rohtak. He won his first bronze medal at the 2010 Youth Olympics. The two were said to have fallen in love during wrestling tournaments. About Satyawart, Olympic bronze medallist Sakshi had earlier said, "He is very supportive and thinks of my dreams as his own." While the engagement was on the cards for a long time, the wedding dates are something that they are yet to decide on. "They both are wrestlers so they have to chalk out dates out of their schedule of endless tournaments. So, we cannot say right now about the wedding," Satyavan was quoted as saying by a report in Hindustan Times. Sakshi rose to fame and glory earlier this year when she clinched bronze in 58kg category in the women's freestyle wrestling event in Rio Olympics 2016. 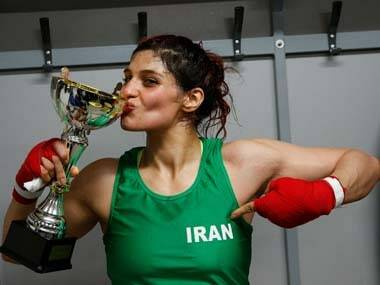 Her victory, which was historic as she became the first woman wrestler to win an Olympic gold, helped end the medal drought that the Indian contingent faced in the mega-event despite fielding their largest-ever contingent. She also became only the fourth woman to achieve the feat (with shuttler PV Sindhu becoming the fifth after her) after defeating Kyrgysztan's Aisuluu Tynybekova. She was given a rousing reception in her home state, as were Sindhu (Telengana and Andhra Pradesh) and gymnast Dipa Karmakar (Tripura) following the contingent's return to India after the Games.